The good news is we recently updated our choice pick of things to do when it rains in Cape Town and our special selection of cosy restaurants with fireplaces. The Disaster Risk Management Centre has been advised by the South African Weather Service of adverse, cold and wet conditions in Cape Town this winter. Weather Warnings issued indicate that heavy rain (as high as 50mm or more) and strong gale force winds accompanied by high seas are expected over the Cape Metropole during the winter months. The Disaster Risk Management Teams will remain on high alert during the winter months, ready to respond to any emergencies that may arise, following the cold, wet and rainy weather. 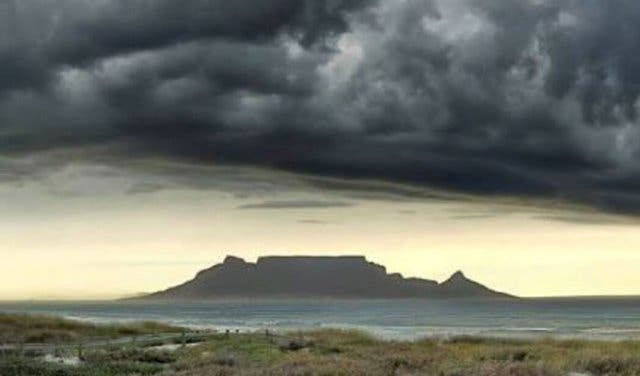 Cape Town residents are requested to prepare for this adverse weather well in advance..
Cape Town’s weather conditions have the potential to cause significant damage to public and private-owned coastal property. Residents are therefore advised to have a plan-of-action in place in case of emergencies. Members of the public are urged to stay away from areas such as Sea Point Promenade, Atlantic Seaboard, False Bay Coastline and Strand/Gordon’s Bay beachfront areas during heavy rain and stormy conditions. Private homeowners living close to the beach need to be prepared for possible storm surge impacts to their property. • Check that the private drainage facilities on your property are checked and maintained in good working order. • Check for dead and burnt trees that could fall onto the property, and notify the authorities if there is a danger. • Place sandbags where necessary to protect critical areas. • If your neighbour’s boundary walls are diverting mountain slope and stream run-off onto your property, bring this to their attention, as it is illegal to divert such run-off onto another property. • If there is a threat of severe flooding or debris flow to your property, select a route through the property that will cause the least damage (such as a pathway or stairs) and use sandbags to try and confine the flow to that route. • Raise the floor level of your house to be higher than the land outside. • Listen to weather warnings that are issued by the South African Weather Service. • Check the terms of your insurance policy with regard to flood and mud damage. For more information on weather warnings visit the City of Cape Town’s website: capetown.gov.za/disaster. Done prepping your property for the harsh winter weather? Learn how the City of Cape Town is aiming to weather the storms this winter. To keep up-to-date with what’s happening in and around Cape Town, be sure to subscribe to our monthly Editor's Picks Newsletter.